Primatologist Cleve Hicks leads a research team that has discovered a new tool-using chimp culture in the Democratic Republic of the Congo. After 12 years of research, their findings include an entirely new chimpanzee tool kit featuring four different kinds of tools. These chimps also build ground nests, which is highly unusual for any group of chimps, but especially for ones living around dangerous predators like lions and leopards. But these chimps’ novel use of tools and ground nesting aren’t even the most interesting behavioral quirks this group displays, Hicks says on this podcast. If you enjoy this show, please visit www.patreon.com/mongabay to pledge any amount to keep it growing. 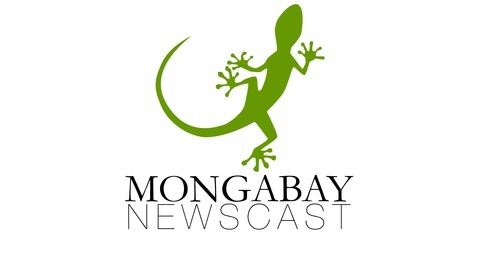 Mongabay is a nonproft media outlet, so all support helps. 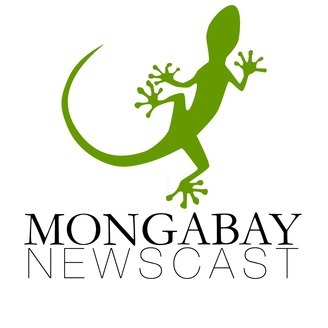 We love reviews, so please find the reviews section of the app that delivers your podcasts and tell the world about the Mongabay Newscast, so that we can find new listeners. Thank you! Also, please invite your friends to subscribe via Android, Apple Podcasts, Google Podcasts, Stitcher, TuneIn, Spotify or wherever they get podcasts. Thank you! And please send thoughts, questions, or feedback about this show to submissions@mongabay.com.